SUE combines schematic capture and verification with control of Verilog blocks, timing models, standard cell libraries and documentation. SUE is useful from an architectural level to plan your design, and manage the design process. Provides an architectural overview of your design. Fully hierarchical, SUE can drill down to gate-level or transistor level detail of any block. 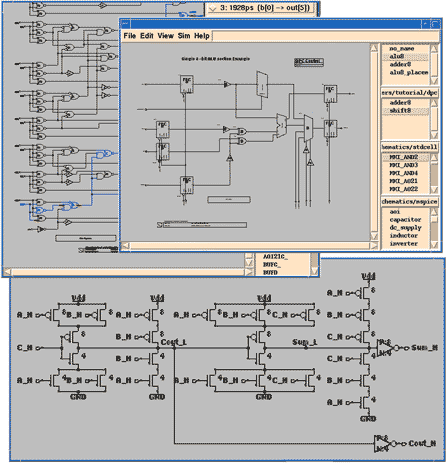 Structural Verilog is imported and automatically arranged as a schematic. 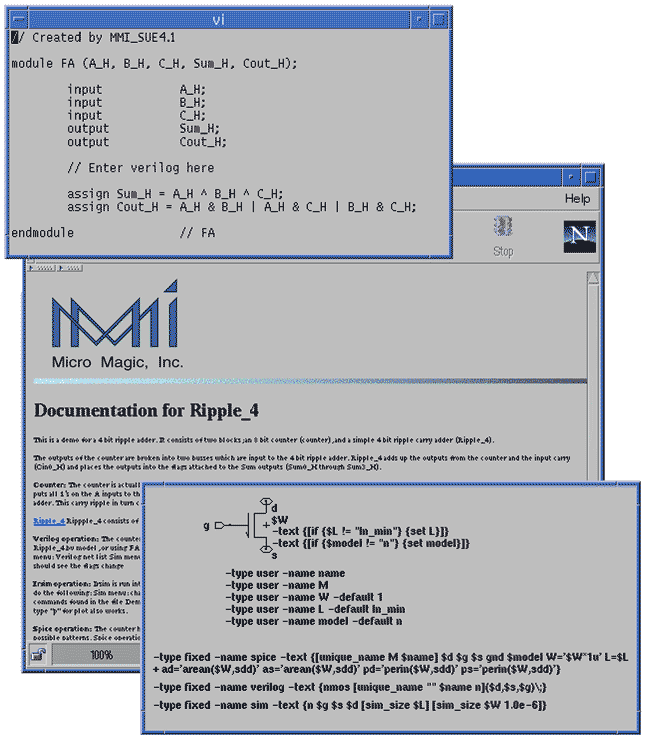 Enter your designs quickly with the simple graphical user interface. Physical VerificationIntegrate seamlessly with your current Physical Verification tools. 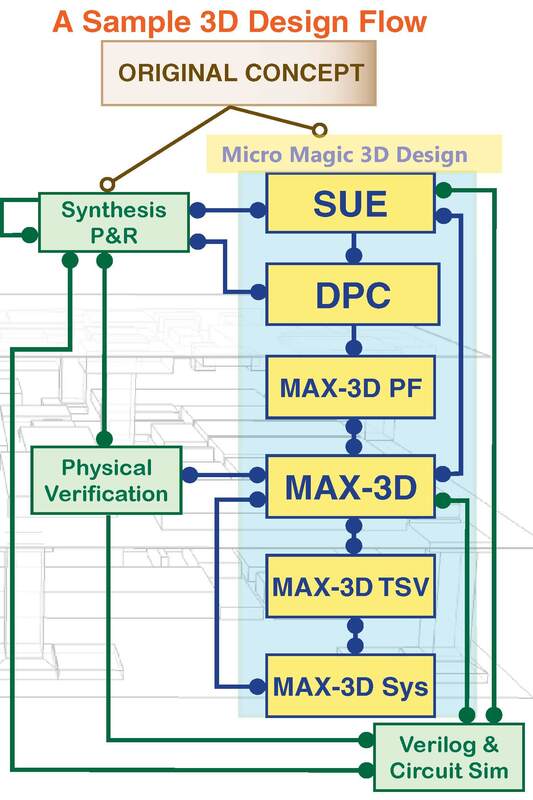 MAX-3D System The tool for chip/package/board co-design. 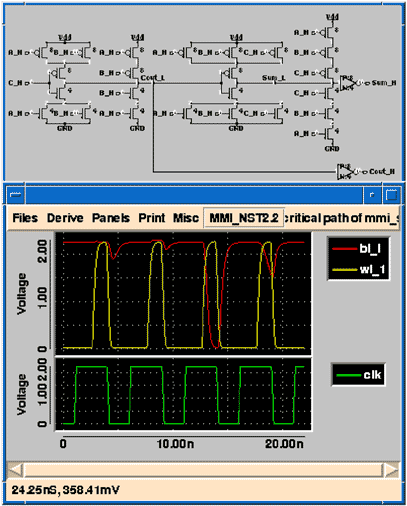 Verilog & Circuit SimEasy, programmable UI integration with your Verilog/Circuit Sim tools. 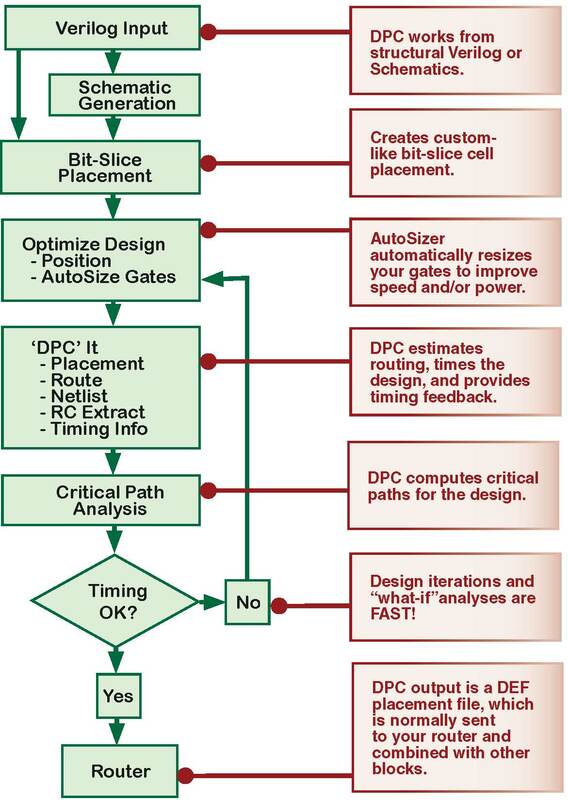 SUE SoC Design Manager, an integral part of MMI's DPC Datapath Tool.